It's been over a year since I posted here. Shame on me! I spend too much time on facebook. Ugh. Life moves at the speed of light, unless you want something in a hurry, lol! I am going to TRY and be better about posting again. I am sure there are very few people who drop by and visit...I know I've not been good about my blog reading, either. I think that as we get more and more electronically connected, we fall away from the stuff we did. First it was blogging, then it was MySpace...then facebook took over. Pinterest is the newest craze, too. Luckily, I can surf that on my Pinterest app on my iPhone, so I don't have to worry about it eating computer time. If you're still out there, reading, please, let me know...would love to hear from y'all again! written by Linda at 9:13 PM 5 SPEAK UP!!! Tell me what you think! The Super Bowl is over for another year. As a die hard Steelers' fan, I was disappointed in their performance, to say the least, but I am still a die hard fan. That loss won't change me. I won't jump onto another team's bandwagon. Lately, on Facebook, I have seen a lot of people who can be just plain UGLY when it comes to professional sports. I actually had one person say, "PACKERS WIN THE SUPERBOWL! HA, LINDA!" But here's the kicker - she (and her husband) are not Packers fans. They were pulling for Green Bay simply because the Steelers beat their team, the Patriots. Really? And then to get ugly about it, well...as I put in my status, "Steeler Nation means DEDICATION"...I'll stay dedicated to them. The rest of the Super Bowl? GAH! To have someone like Christina Aguilara sing our anthem...I was disgusted to just SEE her there. IN MY OPINION (and people forget that I am entitled to my own opinion, particularly in my status or on my blog! ), she is not talented. It doesn't take a lot to scream and twist notes...I can do it. One of my friends called it "talentless vocal gymnastics" and I totally agree with her! 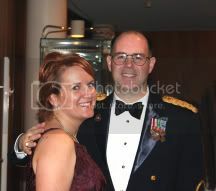 You see, those of you who are still hanging on to reading this blog KNOW, KNOW, KNOW that I am a military spouse. Many of you know that I am also a veteran of the U.S. Air Force (and if you didn't, well, now you know!). 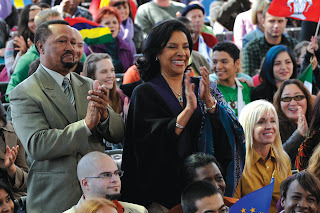 I am also a naturalized citizen, having become an American in 2003. My nation's anthem means a LOT to me. I have stood up in theaters when the Anthem is played (on military posts, they don't do this anywhere else anymore, lest we offend someone). I CRY almost every time I hear it. I have a hard time playing it, because I always have tears in my eyes. As a musician, I know this song means a LOT to so many people! I even stood up straight and put my hand over my heart when CA started to sing it...but turned in disgust when she started with the whining and moaning...singing the song not only with those disgusting vocals, but in the wrong TIME (again, the musician in me can't STAND when the song is sung other than how it was originally written). But then, to MESS UP THE WORDS??? TWICE? REALLY???? Okay, okay...the argument has been laid out so many times since Sunday - she was NERVOUS. I know, I get it. But guess what? She is a PROFESSIONAL performer. She should have had this song backwards and forwards in her SLEEP, for crying out loud. I hear tell she "got caught up in the moment". *I* think that she was too busying trying to slide the notes around to make the anthem a pop tune...she didn't care to perform it properly, and this is what resulted. I will state, as I stated on FB (so I apologize if you've read it there already): There are two things you just do not mess up: TAPS at a funeral (and I've played many), and our National Anthem. It is a song that should be performed with dignity and grace. The song is written in a specific time and should be performed as such. This isn't a song that you should take "artistic liberty" with. And I'm going to show my prejudice here. As an American, a veteran of the U.S. Air Force and the proud wife of a U.S. Army Soldier (and even more prejudice, a BANDMASTER with the Army Band program), I think that the National Anthem should be performed by the U.S. Armed Forces Military Bands. There are enough Service Bands out there that could perform this song at the Superbowl...and it would be done with dignity, respect and grace that is befitting the song of our Nation. Someone actually replied: The super bowl is about "entertainment". In my opinion, the military is not for entertaining our country. Last I knew, the Super Bowl was supposed to be about FOOTBALL. And the military? well here was my reply to that: The mission of military bands is not only for the military, but they are musical ambassadors for the USA. They perform for more civilians than military. They do community outreach by performing in schools, offering master classes to student...s, perform in concerts and parades across the nation. The military is indeed involved in entertainment! Have you never been to a military band concert in your community? Have you not seen the flyovers by jets, seen the Golden Knights Parachute team jump? That's ALL entertainment? How about the U.S. Army Soldier show? These are NOT Army bandsmen, but talented soldiers who go around performing? NOT FOR ENTERTAINING our country? sheesh. written by Linda at 11:12 AM 5 SPEAK UP!!! Tell me what you think! Thanks to Rennratt for the "inspiration". Because I don't blog enough. 1. One of your scars...how did you get it? I have a scar on my right big toe that runs all around it...from when I was a year or so old...long story, really. But I didn't like to wear my shoes, and took them off all the time...and stepped on a piece of sheet metal and almost cut it off. My husband's 2 commissions to the military, and a few picture. Oh, and paint. I clench my teeth. I've had this issue all my life. It leads to TMJ. And cracked teeth. I know this for a fact. My NLT Study Bible. My trumpet. My camera. My son...he's so tenderhearted...he didn't want Pooh to go into the wash because he LOVES Pooh and doesn't want him ruined. failure. at anything I do. 14. What kind of hair/eye color do you like on people you're attracted to? 15. Where do you see yourself proposing? Coffee, strong, thick...like, "stand a spoon in it" thick...but FLAVORFUL. 21. What is the most meaningful gift you've ever received? The surprise visit of my mom in 2007. It was a week before Christmas, and I was expecting my sister and Donna...but got my sister and my MOM instead! "cover me up and hide the fat rolls" brand, lol! hmmm...Hugh Laurie, Hugh Grant. Guess I'm a Hugh(e) fan, lol! no, but my daughter does...sort of. Yes...and I did. But, in the end, I followed him. And married him. 29. Say a number from 1 to 100? written by Linda at 9:21 AM 1 SPEAK UP!!! Tell me what you think! congratulations Debbie! Please email me (or message me on FB) with your address so that I can provide the marketing firm with your info and they will mail out your prize pack! Thank you to everyone who participated! I was glad to see several more entries this time around, and hopefully, P&G/Walmart will continue to allow me to post these contests!!! written by Linda at 12:50 PM 2 SPEAK UP!!! Tell me what you think! Well, folks - it's time for another blog giveaway! Once again, Procter and Gamble have teamed up with WalMart to continue Family Movie Night! This Saturday at 8:00 p.m. EST on Fox, they will be airing "Change of Plans". "Up to this point, Sally Danville’s (Brooke White, “American Idol”) life has played out just as she hoped it would. As a beautiful and free-spirited musician, she and her fighter-pilot husband, Jason, live life on the go, free of domestic responsibilities. she learns that things don’t always go according to plan. Sally is met with the news that her best friend from college has died in a tragic accident on a Peace Corps mission and has named Sally the legal guardian of her four kids – 3 of them adopted from third-world countries. Now Sally and Jason (Joe Flanigan, “Stargate Atlantis”) must quickly learn to parent this instant family and help the kids deal with the culture clash of life in America. The story is both humorous and heartwarming, revealing how fulfilling life can be when you look beyond your own plans and invest in the lives of others." Now - onto the Giveaway!!! This time around, P&G/WalMart are going to provide several movies from their Family Movie Night series. The winner will receive "Secrets of The Mountain", "Jenson Project" and "A Walk in My Shoes" on DVD, as well as a great fleece throw with the "Change of Plans" logo on it. THREE great family movies, and a blanket to snuggle up under - what more could you want??? 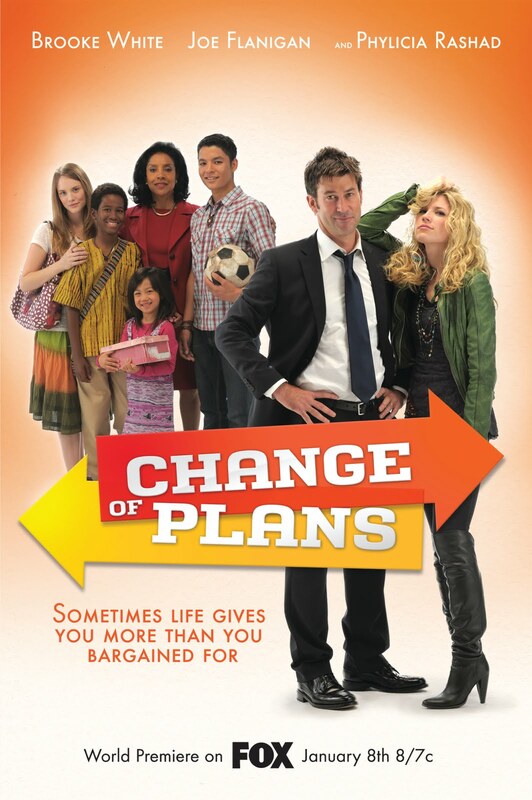 Unfortunately, they haven't yet released "Change of Plans" on DVD yet, so it can't be included in the package. *tweet about it (R/T fifenhorn and link please!). I'm more active on Twitter now that I access it on my iTouch, so I'll definitely read your R/T - pass it on!!! *mention it on FaceBook - if you mention this on facebook, provide a link to the blog post as well as an @Linda Ouellet MacDonald (to tag me on your post). If you don't tag me, come back and let me know. Since the movie airs in 2 days, this is a short turnover giveaway. I will pick a winner on Sunday. PLEASE, PLEASE, PLEASE!!! Get lots of people to come and join the giveaway! They WILL ship to APO/FPO addresses! Disclaimer: I did receive a prescreening/viewing kit from P&G/WalMart, and will receive a prize pack as part of this review/giveaway. written by Linda at 8:42 AM 20 SPEAK UP!!! Tell me what you think! Carmi, over at Written, Inc hosts a weekly "Thematic Photographic" in which he presents a theme, then asks viewers to share photos related to the theme. I used to be a regular participant in this activity, back when I blogged a LOT...but lately, I've been sucked into the Facebook world and neglect my blog a bit too much. Now, mind you, I DO read others' blogs, so I know what's going on. Hence, I am presenting my submission to Thematic Photographic this time around. Because the theme this time is 'Favorite Photo of the Year', it's going to go on for 3 weeks...and Carmi asked that we show as many of our favorites during this time. I was trying to set the shot up this way...and my lovely little model was being silly, and I just clicked! Her face is priceless (and it shows her true personality!) Her brother is behind her, being the slightly protective, slightly annoyed, big brother! 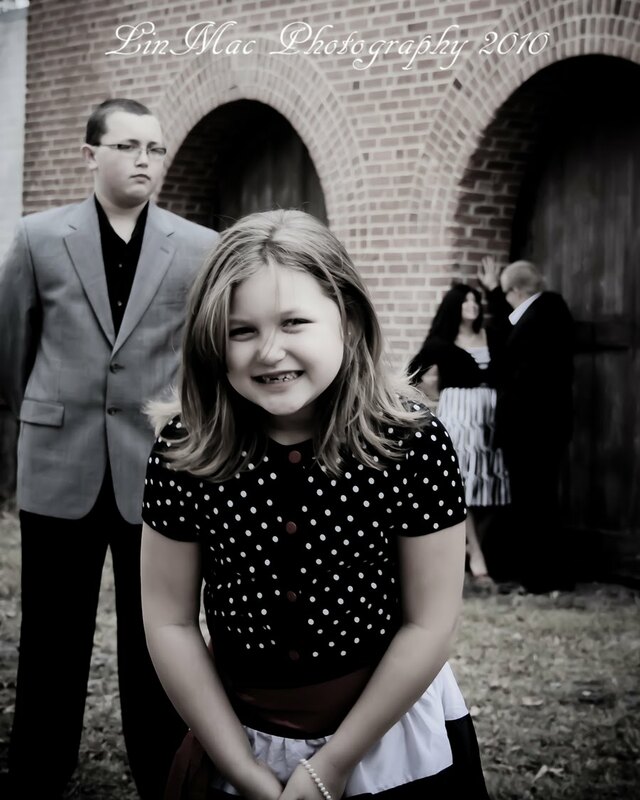 And mom and dad in the background. When I showed this photo to my client, she said it was a great representation of their family! 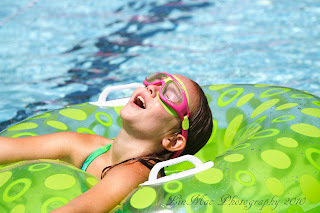 This was over the summer...I just got a new zoom lens and was playing at the pool. My kids didn't have a clue I was shooting them. To me, this picture represents the summertime PERFECTLY...because the colors are so bright and vivid, the water seems so cool, refreshing, and inviting (which, for the record, it was NOT - the water temp was well over 90°! ), and my daughter's face says it all! written by Linda at 9:35 AM 7 SPEAK UP!!! Tell me what you think! you only have today and tomorrow to enter my blog giveaway! You will get a chance to win the DVD and CD soundtrack of "A Walk in My Shoes" which premieres on NBC on Friday, December 3rd, at 8:00 p.m. EST. This is a wonderful Family movie about choices you would make if you saw the world through another's eyes. 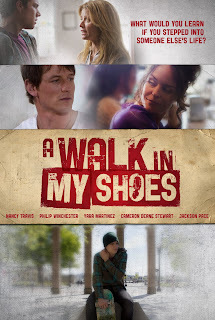 “A Walk in My Shoes” makes viewers stop and think, “What would I learn if I stepped into someone else’s life?” Stressed-out high school teacher Trish Fahey (Nancy Travis, “Three Men and a Baby,” “Becker”) can’t understand her students’ lack of effort in the classroom and why their parents don’t seem to care. This is especially true of Justin Kremer (Cameron Deane Stewart), a popular, skateboard-loving, basketball star who is underperforming in her class. 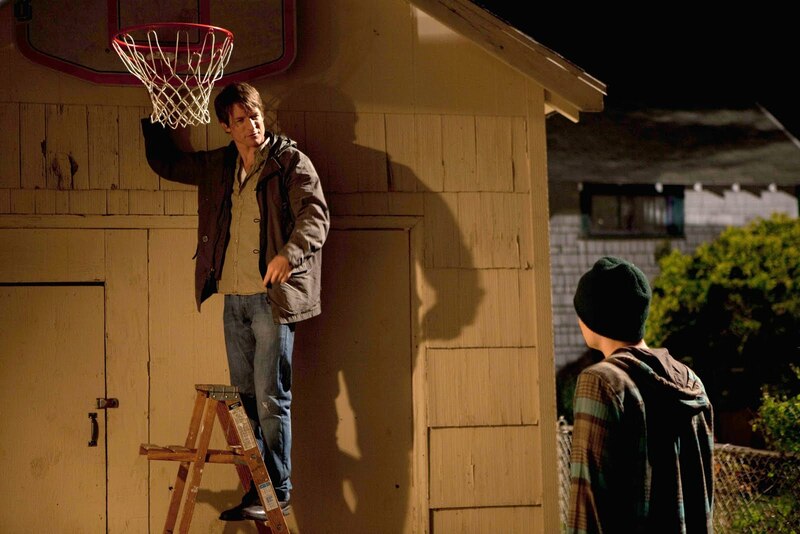 Trish has him suspended from the basketball team and quickly chalks up the situation as a case of bad parenting. Share this with all your friends, too!!! Disclaimer: in exchange for hosting this giveaway, I will also be receiving a copy of the CD/DVD and received a press kit to help promote it. written by Linda at 4:39 PM 0 SPEAK UP!!! Tell me what you think!